Private and secluded, near beach location. Home offers 2 bedroom en-suites. 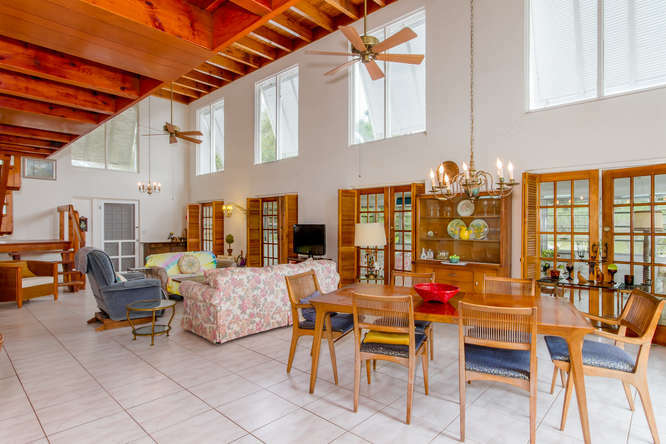 Open floor plan with beamed, volume, 2-story ceiling with large windows to bring in natural sunlight. There is an upstairs master with loft that offers wood floors. Spacious Florida room, laundry room and an open kitchen. Courtyard separates the detached garage with a large storage room. This listing was purchased in conjunction with MLS#2161187 which is the adjacent lot for $510,000.